KALAN-2M is used in offices for the X-ray inspection of mail, baggage, office equipment, etc. to detect explosives, weapons or electronic bugs. Due to its solid construction and implemented safety features, KALAN-2M is totally safe to operate in any office environment and at any security checkpoint. A minifocus or microfocus X-ray tube allows to detect extremely fine objects such as wires and detonation devices components. KALAN-2M custom designed X-ray generators contribute to their overall small dimensions. Adjustable voltage allows the inspection of objects of various thickness and density. 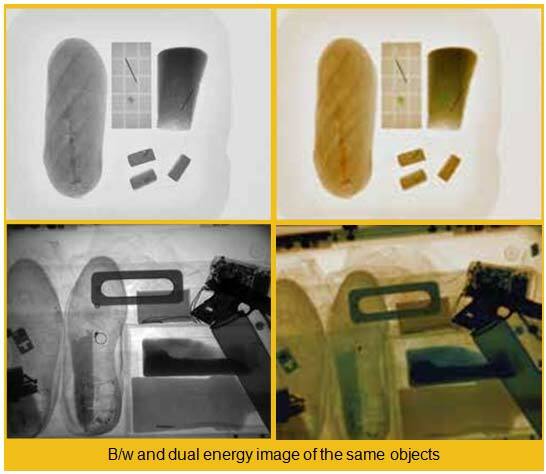 The dual energy option enables differentiation between organic and inorganic objects. The KALAN-2M features a versatile image processing unit capable of saving up to 30,000 images accompanied by voice and text comments. As an office X-ray inspection system it has small overall dimensions, modern design and fits perfectly into office interiors. It is supplied with a mobile base and can be moved around by one person. All basic operation functions of the KALAN-2M are carried out via a remote control unit. A high contrast, high resolution display shows images with unparalleled accuracy. 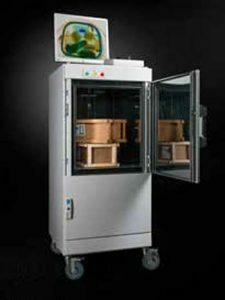 The chamber for testing objects is supplied with an adjustable tray. By precisely positioning an object, using the KALAN-2M movable tray, high resolution magnifications up to 12 times can be achieved (only with a microfocus X-ray unit).